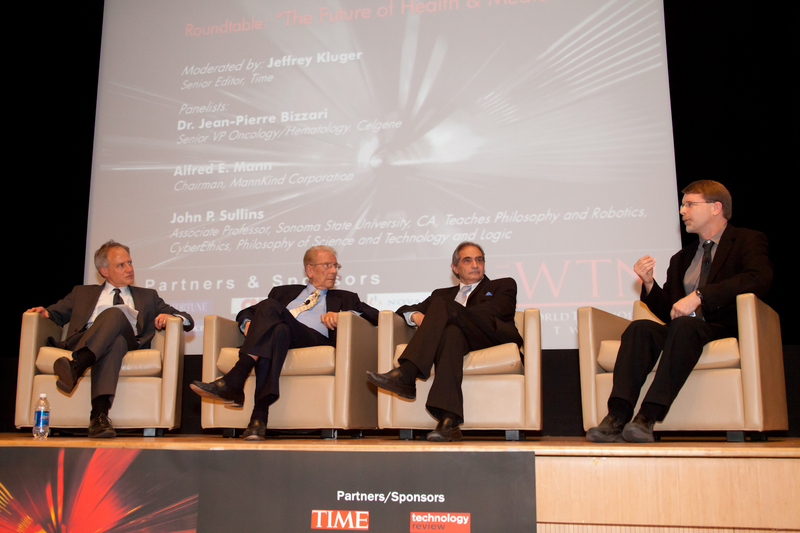 Others on the panel with him (left to right) were moderator Jeffrey Kluger, Senior Editor of Time; Alfred E. Mann, Chairman, MannKind Corporation and Dr Jean-Pierre Bizzari, Global Head of Oncology, Celgene. Sullins was one of five finalists in the ethics category for his work on robotics and ethics. A three-minute preview of the panel discussion can be found at http://tinyurl.com/74p9zan. More on Sullins' nomination can be found at http://www.sonoma.edu/newscenter/2011/10/john-sullins---rethinking-robots.html.